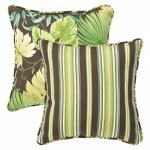 Do you want tropical home decor to bring the look and feel of a tropical island paradise into your home? Do you want to create your own tropical oasis with your decor? Tropical style home decor is a very popular look. It focuses on casual, easy living with a fresh appeal, combining comfort and low maintenance. It uses restful colors, natural textured elements and patterns. Pictures, figurines and wall art of animals like geckos, parrots and brightly colored tropical fish are a must to add some accents. As with the general beach theme, focus is on nature. Use our tropical home decor to recreate the calming and warm atmosphere of tropical beach luxury with silver white sandy beaches fringed with palm trees, bright bougainvillea, mangroves and magical creeks, washed by the turquoise water of the ocean. 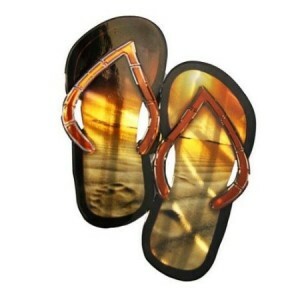 Close your eyes and smell the air scented with the sweetness of frangipani and the salty freshness of ocean breezes! 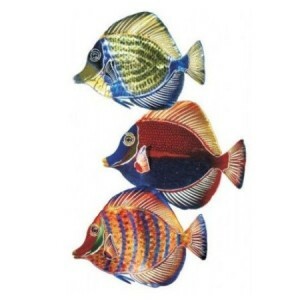 Tropical home decor will allow you to surround yourself with the feeling of an ongoing tropical vacation. You can fulfill your island dreams by using the right decor to bring the beauty of a tropical paradise into your home. Use neutral tones – ivory, beige, camel, tan, deep brown, soft gold, and pale yellows – as the foundation for your home decor in a tropical theme. Different green tones also play a major role. Vary shades from light sage to avocado and from yellow-greens to a green that is nearly black. Introduce a minimal amount of dark brown, black, or even muted reds to accentuate the effect. Enhance your tropical home decor with furniture, figurines or ornaments made from wicker, wood bamboo, iron, rattan or maybe even that special grass cloth. Their natural texture and pattern will accentuate the tropical theme. Imagine a beautiful basket with tropical fruits and flowers on a gorgeous coffee table made from wood and iron to offset the ambience you have created. 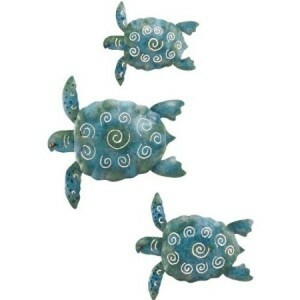 Animal designs can be used as a prominent feature in any home that features tropical style decor. They can be in the fabrics you use (zebra stripes, leopard spots, etc.) or in displaying animal images (pictures, wall art, figurines etc.). These can be bright in color. Add Plants to your home decor; they are an essential part of the tropical theme. Palm trees and any other broad leaf plants will add the perfect touch and bring it all together. Place them in corners and up light them from underneath; it will look absolutely stunning! In our section of tropical home decor you can find the widest selection of items to transform your living spaces, bathrooms, bedrooms and outdoors into your own tropical island retreat. It is time to get into the mood for Tantalizing Tropics!